Wherever you need to go, Cotswold Executive Cabs are here day or night to be of service to you. Every day we pick people up and drop them off all over the Cotswolds – at their homes, offices, restaurants, local shops, supermarkets, airports, and many other destinations, wherever you want to go we are here for you. Whether you are a local resident looking for a reliable driver to take you to the airport, a business looking for trusted transportation for employees or you are coming for a relaxing visit the Cotswolds we are here to take the stress out of your airport travel plans. Our drivers provide a punctual meet & greet service and transportation in one of our luxurious vehicles equipped with free WiFi and bottled water. 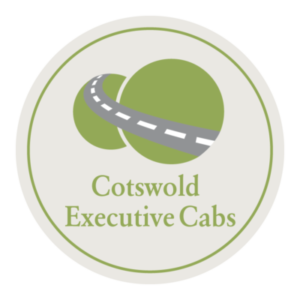 Cotswold Executive Cabs can provide long distance travel at affordable prices, leave the car at home and save the stress of driving or save time by getting a train to destinations afar and take one of our executive vehicles. Sit back and relax as our trusted drivers transport you efficiently and comfortably. For those of you wanting to see a lot of the United Kingdom in a few days our drivers will plan days for you incorporating a number of landmarks and places of interest that beats taking public transport and is much more relaxing and interesting. Although you've come to the Cotswolds to hike our rolling hills take the stress of your back and let us transfer your luggage from A to B or even help you along parts of the trails, however, small or big the request we are here to make your walking adventures easier. With our Private Driver & Chauffeur service you can hire one of our experienced drivers for a specific period of time for one flat rate. If you are coming to area for a few days or a week, you can hire one of our drivers to be your personal chauffeur in the comfort of your vehicle or one of ours. Going to the races or on a business trip and want to turn up in style and comfort, we have a solution that is right for you, whether our drivers drive you to your destination and wait for you there until you need further transportation or a simple executive transfer we can tailor any request to you. We might be biased, but we believe there’s no bad time to visit the Cotswolds. If you are wanting to experience the lush English history or spend your time walking up and down the beautiful country paths you’ll never be disappointed. With our 60+ years of relations and experience in the Cotswolds we are able to provide recommendations for everyday day, month and season of the year. Please feel free to contact us with any questions for a perfect recommendation from food to shopping, from a quite horse back ride to a fun festival we know all the best spots and what's on in the area.